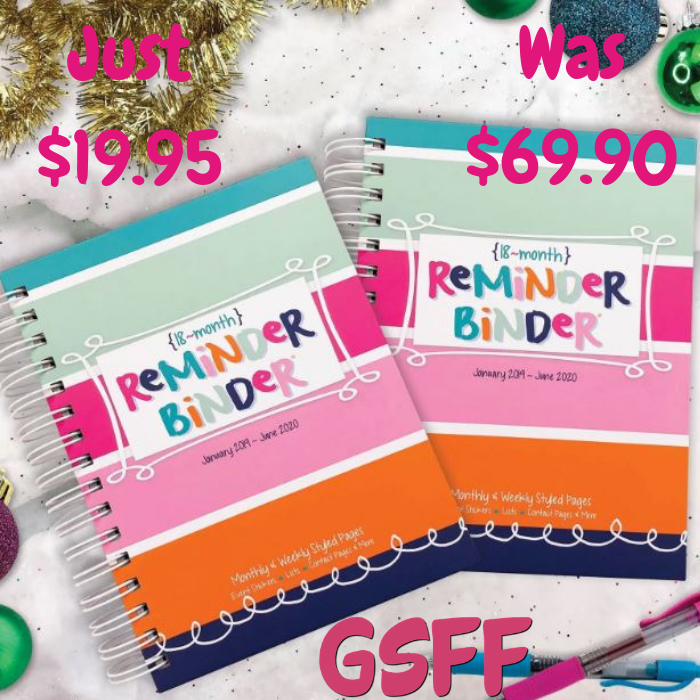 Reminder Planner Set Of 2 Just $19.95! Down From $70! You are here: Home / Great Deals / Christmas Deals / Reminder Planner Set Of 2 Just $19.95! Down From $70! For a limited time only! Jane is offering this Reminder Binder Planner Set Of 2 for just $19.95 down from $69.90! Shipping is $5.99 for the first item and $4.99 for each additional item! Do you like things to be organized? This one is for you and it makes a great gift too! Dates include January 2019 – June 2020, when the new year starts, so does your planner! Hard Cover – for the 10,000 times you flip through it, it’s built to last! Elastic Band Enclosure – your planner gets packed like your week, this band will help keep it altogether!